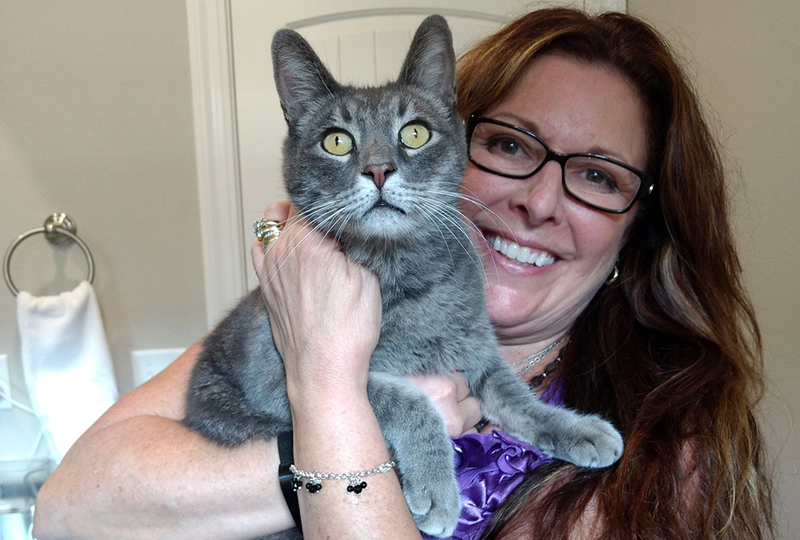 Embers falling on their heads, Venesa Rhodes and her husband, Stephen Cobb, rushed their two beloved cats toward their SUV before a wildfire last summer could overtake them all. One cat, named Bella, bolted. She disappeared as the blaze bore down. The couple had no choice but to flee. 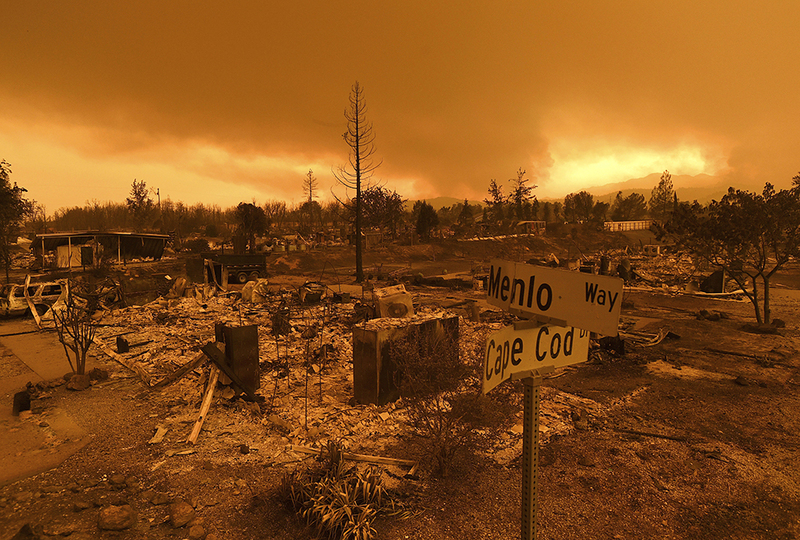 Their home and much of the neighborhood in Redding, California, soon was reduced to ash. Rhodes and Cobb presumed Bella was dead. Devastated by their losses, they moved 1,800 miles away to Anchorage, Alaska, to start over. Nearly six weeks later, they got astounding news: Bella was alive. Volunteers had spotted her. They put out a feeding station at Rhodes’ burned-out property, staked it out, and safely trapped her. Dozens of others like Rhodes and Cobb lost their homes in the deadly Carr Fire but had their lives brightened later when their pets were found. 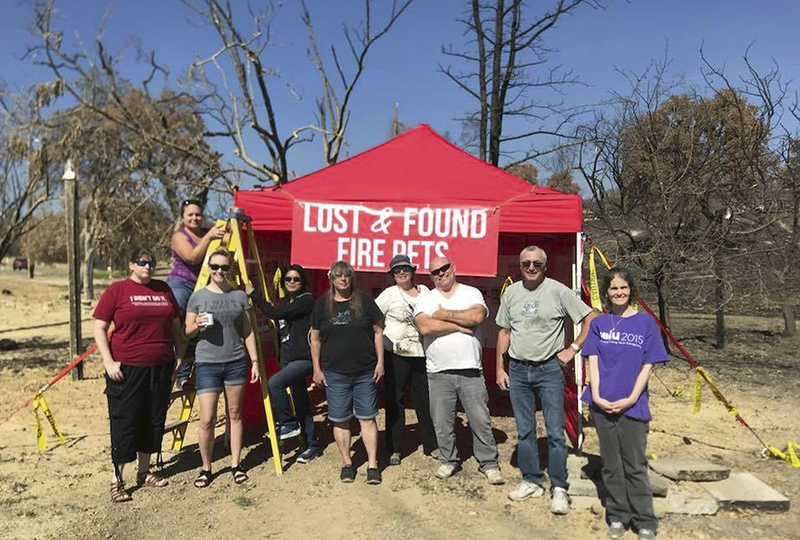 A network of about 35 volunteers calls itself Carr Fire Pet Rescue and Reunification. This group is responsible for many happy endings, which continue months after firefighters extinguished the blaze. Robin Bray is a field coordinator for the Carr Fire group. She says about 80 pets and people have been reunited. The group advertises found pets through social media. It posts images on kiosks in Redding. Many volunteers even use their own money to capture and treat the animals. Bray says the joyful reunions fuel them to keep doing the work. Traumatized animals can be hard to catch. Volunteers worked for a dog nicknamed Buddy for weeks. They tried luring him with steak and french fries. They used a pickup truck like the one his owner drove. 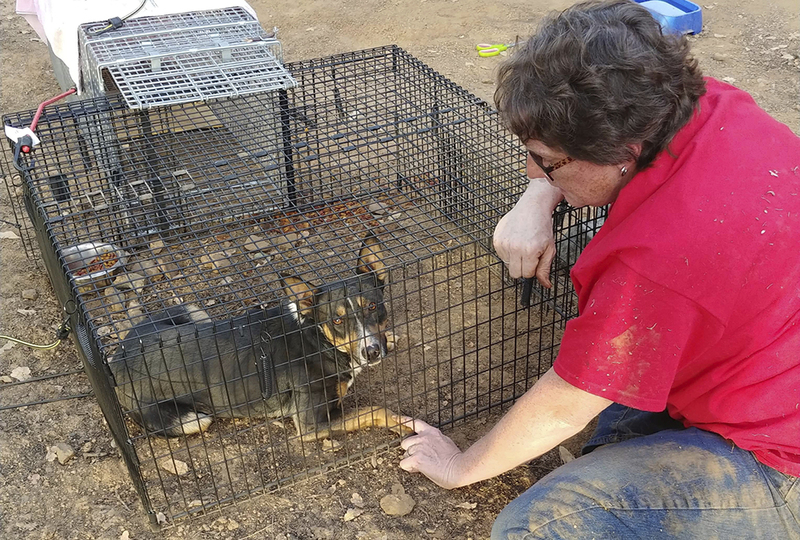 It took two women working together two hours to finally coax Buddy into a trap with food. Jessica Pierce of Lyons, Colorado, studies grief. She says these reunions ease a “double whammy of grief.” People closely associate animals as well as houses with the idea of home. And people “identify home with a sense of comfort and peace,” she says. Hope, comfort, peace—essential needs of the human heart. The Carr group is doing what they humanly can for their neighbors. But ultimately, every soul needs the comfort, peace, and hope of reunification with God that Christ gives all believers. This article was so touching. I nearly cried looking at the slideshow. I am so thankful that God put people into the world who are ready to help, no matter the circumstance. I am definitely going to be praying for fire-fighters more often. And I think that we all should be praying for the people who lost their homes, or even their lives, in that devastating fire. That dog in the slideshow looks SO cute. I'm so glad for what they are doing! Yes, me too. 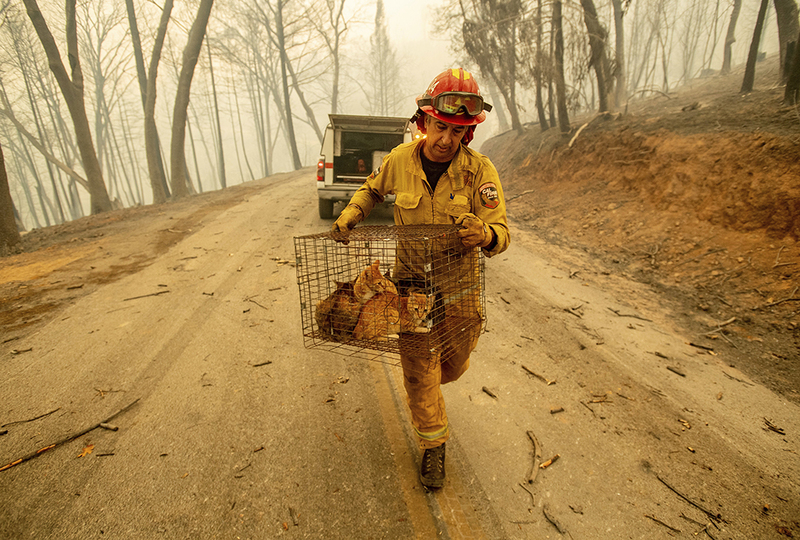 Someday when I'm older, I want to volunteer with a service that reunites pets with their owners after fires or floods. I love my dog. it seems that everyone would miss their pet if it got lost or left behind. I love my cat, and I would be devastated if I lost him. He likes to curl up on my feet at night :-) I am so thankful for these people and what they are doing!!! that is so cool I would want something like that for my pets if anything happened. I often worry about what would happen my pets if we were part of a traumatic experience and couldn't find them. Thankfully, I live in Minnesota. The only thing that really happens around here is occasionally a tornado... One time one hit near my aunt and uncles farm and knocked down a few trees. No major damage, but it was scary for my little cousins. This is such a beautiful story of hope! I live really close to where these fires happen and it's been heartbreaking to see the devastation from the Carr and Camp Fires. I feel like this is God reminding everyone that there is always hope, even in the worst circumstances. My prayers are with all of the victims of the fires that they may not lose hope in this trying time. that is so sweet what the people are doing and alaina is right we should be praying for all those people its so sweet and kind what there doing is unbeleivable and all those animals in the slideshow were so cute this story touched my heart. SAVE THE PETS! DON'T LEAVE THEM BEHIND!!! I would be so sad also if my house was burning down, and I thought that my cats were dead. I am so happy that the people and their pets were reunited together again. Also, does anyone here do a grammar writing thing on veritas press? A heart-touching article! These people who are willing to help others are really good example to Love their neighbor. I hope they are all loving God first. I'm soooo happy to read this story! Although ultimately people are more important then pets, animals are a wonderful gift from God. I, a cat lover, love what these people are doing. It would be terrible for me if I lost my pet cat Tait. If he was brought back, my life could begin again! I find it cool that people would find pets for people who had lost their homes but first two questions, who funds them???? do they have real jobs ??? ALAINA F, I agree! God bless those firemen! I am so glad that they reunite people with their pets because I know if I lost my cats I would be devastated. The first sentence mentioned cats, and i dont like cats, so I skipped the actual article and came here to complain. Boo Cats! If you are a cat, then I feel sorry for you and do not take offense at that comment. I just dont think you're worth reading about. Wow... those were some pretty harsh words, Hannah. I think that both dogs AND cats are great!